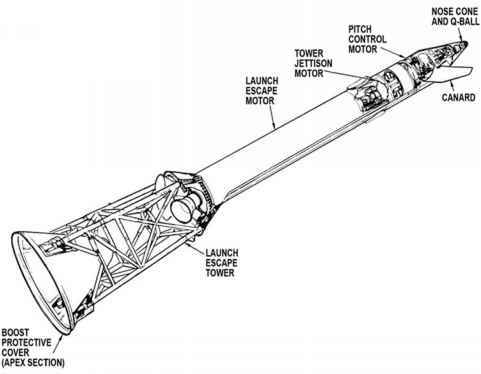 The right time to return from the Moon was dependent on the mission, the consumables available to the crew, and the status of the flight; that is, whether an emergency forced an early departure. As soon as they arrived in lunar orbit, and throughout their stay, the crews of all the missions were given abort PADs at regular intervals, lists of numbers giving instructions for a TEI manoeuvre that would allow them to make an early independent return to Earth. None of the missions ever needed to use these PADs. The first flight to enter lunar orbit, Apollo 8, did not stay for long because, as a pioneering flight, it was not one of intense exploration. Rather, it was more of a 'grab and run' affair, orbiting for only 10 revolutions and 20 hours in the second Apollo CSM to fly, proving that it and its crew could achieve lunar orbit and still return home safely, with a little reconnaissance thrown in for good measure. Prior to loss of signal on each orbit, Frank Borman insisted that mission control give him an explicit Go to continue orbiting, otherwise he intended to use the contingency TEI data to fire up the SPS engine and send the spacecraft back to Earth. In the event, Apollo 8's CSM worked like a charm and there was no reason to come home early. Borman and his crew made a successful burn at the end of the tenth orbit around the far side to begin their long fall to Earth as planned. Similarly, the lunar missions immediately following Apollo 8 did not stay around the Moon for long. Once the LM crew had returned from their exploration of the surface, the crews either headed for home soon after the lander's ascent stage had been jettisoned, or took a single night's rest in lunar orbit. This changed with the introduction of the J-missions. Having spent significant sums to extend the capability of the CSM and to pack a suite of scientific instruments into the side of the service module, NASA decided that the spacecraft could stay in orbit around the Moon for another full day after the LM had been jettisoned. The extra time particularly benefited Apollos 15 and 17. The northerly landing sites for these two flights required the CSM's orbit to be significantly tilted with respect to the lunar equator. This meant that the Moon's rotation brought new terrain into the realms of the spacecraft's sensors and cameras and allowed the sunrise terminator to crawl across the surface for another day, another 12 degrees of longitude, thereby bringing more landscape into view. The near-equatorial orbit of Apollo 16 offered little benefit from the extra day's stay and, in the event, the problem with Casper's SPS engine gimbals led mission control to forego the extra day. The crews of the other two J-missions reported that the extra day in lunar orbit gave them time to wind down and rest after what had been an arduous expedition to the surface.